Black Mission Figs | Plan. Shop. Eat. Live. 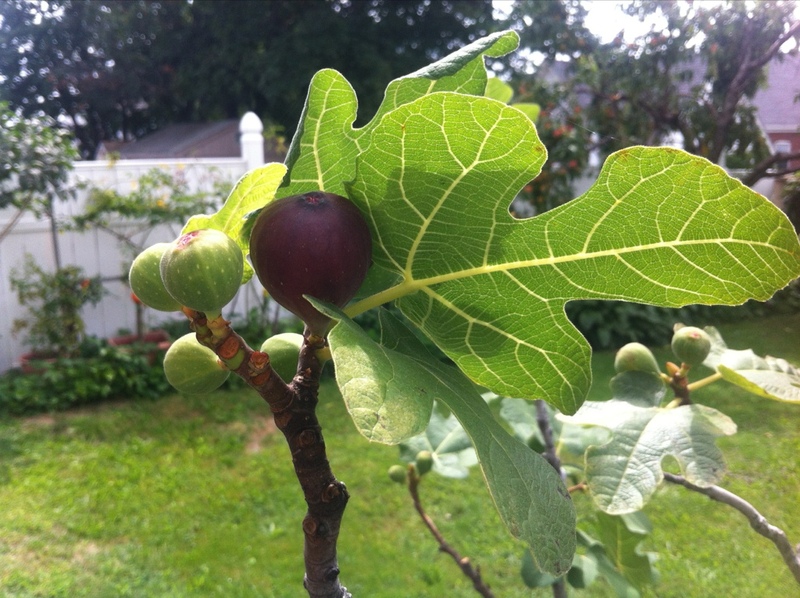 A fig tree in this climate is quite a commitment, isn’t it? Don’t you have to bend the branches over and cover up the whole thing for the winter? How old is the tree? Where does one find a fig tree? I have a perfect Southern location that’s screaming for something like that. Hey Nan – There’s nothing wrong with pouring some of that red wine onto your peaches. At least that’s the take-away I got from John and Lisa. Keep up the good work. You inspire me. It comes inside in the winter. It’s in a big planter, not in the ground. I’ll post another photo so you can see the whole thing. It’s my parents’ tree and they’ve had it for well over ten years. My mom is going to plant a branch for you and as soon as it’s ready to go, we can meet up. The figs are really amazing. Thank you so much for all of your comments; the blog keeps me going as well!